Dinshaw Rusi Mehta and Anr. Vs. The State of Maharashtra and Ors. Petitioner: Dinshaw Rusi Mehta and Anr. Respondent: The State of Maharashtra and Ors. Abhay Manohar Sapre, J. 1) Leave granted. 2) This appeal is filed against the final judgment and order dated 30.04.2015 passed by the High Court of Bombay in Writ Petition (c) No. 938 of 2013 whereby the High Court rejected the petition filed by the appellants herein for quashing and setting aside the judgment/order dated 06.08.2011 passed by the Charity Commissioner-respondent No.2 herein vide which the Charity Commissioner has granted permission to the respondents under Section 36 of the Bombay Public Trusts Act 1950 on the conditions stipulated therein. 3) We herein set out the facts, in brief, to appreciate the issues involved in this appeal. 4) There is one public and charitable Trust called "Parsi Lying-in Hospital" (hereinafter referred to as “PLIH”) having its office at A.K.Naik Marg, Fort Mumbai. The Trust is registered under the provisions of the Bombay Public Trusts Act,1950-now substituted by the Maharashtra Public Trusts Act (hereinafter referred to as "The Act”). 5) The PLIH owned a land admeasuring 1,294 sq. yards together with garden of 624 sq. yards on C.S. Nos. 741 and 742, Flora Fountain at Mumbai. The Secretary of State for India in Council had allotted this land to PLIH for a period of 99 years by executing Indenture of Lease. The land was allotted for setting up a charitable Hospital in Bombay. In accordance with the terms of the grant, the PLIH constructed charitable Hospital on the land and continued its activities for few years after making it an operational. 6) On 01.02.1924, PLIH resolved to transfer the said Hospital to another Public Trust called "Parsi Punchayet Funds and Properties, Bombay" also known as "Bombay Parsi Punchayet" (hereinafter referred to as "BPP”). The transfer resolved was approved by the Bombay High Court vide order dated 01.02.1924 in Suit No.126 of 1924. The Government of Bombay vide their resolution No.5628 dated 01.04.1924 granted sanction to the transfer and accordingly executed a lease deed in favour of BPP in relation to the aforementioned land. 7) Insofar as the Management of the Hospital was concerned, one Managing Committee of PLIH used to look after its day-to-day management. It may be mentioned that some Trustees of BPP also used to be on the Board of Trustees of PLIH as their Trustees. 8) The Hospital continued its activities for few years and then remained closed for a long time for various reasons. The Trust through their Trustees then decided to re-start the Hospital in collaboration with others, who are expert in running and managing the Hospital. 9) With this objective in forefront, the Managing Committee of PLIH on 22.03.2011 entered into a lease agreement with one company called Krimson Health Ventures Private Limited (for short called “KHPL”). In terms of this agreement, KHPL was permitted to renovate/rebuild one super specialty hospital at their cost on the leased land. The agreement contained several terms and conditions on which the project was to be accomplished. It is, however, not necessary to set out the details of the agreement which has no bearing over the issue involved in the appeal. 10) The Trustees of PLIH then applied to the Charity Commissioner of Bombay under the Act for grant of approval to the aforementioned scheme/ agreement. By order dated 08.07.2011, the Assistant Charity Commissioner granted approval to the Scheme/agreement. By another judgment/order dated 06.08.2011, the Charity Commissioner accorded approval to the PLIH for execution of lease deed in favour of KHPL to enable it to start the work. 11) This grant of approval, as mentioned above, gave rise to litigation. One group of the Trustees of BPP filed a writ petition in the High Court of Bombay, out of which this appeal arises, challenging the legality and validity of the Scheme and the approval granted by the Charity Commissioner for the use of land/hospital. The challenge was founded on grounds inter alia with a prayer to declare the scheme/agreement and the order of Charity Commissioner/Assistant Commissioner as being bad in law as the same, according to the writ petitioners, was not in the larger interest of the Trust. 12) By impugned order dated 30.04.2015, the High Court disposed of the writ petition and, in effect, upheld the scheme and the orders of the Assistant Commissioner/Commissioner. 13) It is against this order of the High Court, the writ petitioners (one group of Trustees) felt aggrieved and carried the matter to this Court in this appeal by special leave. In the meantime, the term of one Trustee (writ petitioner) expired. He is, therefore, no longer on the Board of Trustees of PLIH. 14) Heard Mr. Shyam Divan, learned senior counsel for the appellants and Mr. C.U. Singh, Mr. Dushyant Dave and Mr. K. Radhakrishnan, learned senior counsel for the respondents. 15) Learned senior counsel appearing for the respective parties argued several legal and factual points trying to justify their stand taken in the writ petition including making allegations and counter allegations by highlighting the conduct of rival groups of the Trustees and tried to show as to how these groups pursued their stand and caused injury and loss to the Trust, Trustees and its beneficiaries. 16) On the other hand, an attempt was made by another group of the Trustees to show that the scheme/agreement was conceived in the best interest of the Trust and was rightly upheld by the Charity Commissioner and the High Court. 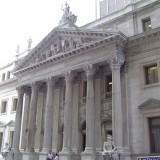 17) Having heard the learned Counsel for the parties at length and on perusal of the record of the case, we are of the opinion that it is not necessary for this Court to decide any of the points urged by the learned counsel on account of certain subsequent events which took place during the pendency of this litigation. In our opinion, the subsequent events brought to our notice have a direct bearing over the controversy involved in this case and hence they deserve to be taken note of for deciding the appeal. 18) During the pendency of the litigation, KHPL- respondent No. 18 herein, in whose favour the transfer of land was made by BBP/PLIH for setting up a new hospital informed the BBP/PLIH vide their letter dated 03.11.2015 and 17.11.2011 that KHPL is now no more interested in continuing with the project for the reasons mentioned in their letters. By these letters, KHPL terminated the agreement. These letters were replied by BPP/PILH vide letter dated 22.12.2011. 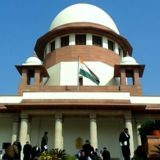 19) Be that as it may, in our opinion, when the scheme/agreement impugned in this litigation stands terminated and is not being given effect to by the parties (may be for any reason with which we are not presently concerned in this litigation) or in other words when the scheme/agreement cannot now be given effect to due to parties’ own volition, there does not arise any need for this Court to decide its legality or correctness on merits. 20) When the impugned scheme/agreement no longer subsists and not alive, there is no occasion to decide its legality and correctness on legal side because any decision, even if rendered, would be of no avail to the parties. 21) It is for this reason, we decline to examine the points urged in this appeal and express no opinion. Indeed, in such circumstances, in our opinion, the writ petition out of which this appeal arises has rendered infructuous for all practical purposes. 22) In the light of foregoing discussion and further having regard to the nature of controversy and lastly, keeping in view the manner in which the parties prosecuted this litigation against each other, we are inclined to dispose of this appeal with observations and certain directions mentioned infra which we consider are apposite in the facts of the case. 23) First, the scheme/agreement in question would not be given effect to by the parties in the light of respondent No. 18 (KHPL)’s two letters dated 03.11.2015 and 17.11.2011; 24) Second, the BPP and PLIH would be at liberty to enter into any other arrangement, scheme etc. in relation to the land/hospital in question, if they so consider it to be just and proper and in the interest of the Trusts/beneficiaries with any person, body, Corporate, organization, firm etc. If the Trust(s) resolves to do so, then it will be given effect to after ensuring all necessary compliances/formalities/ requirements contained in the Trust Deed and the Act and after obtaining necessary approval from the Charity Commissioner as required under the Act; 25) Third, we have not expressed any opinion regarding issue of the termination of the agreement made by respondent No. 18 – KHPL qua BPP/PLIH and vice versa because it was not the subject matter of this litigation. 26) We, therefore, leave the parties to get their rights decided against each other arising out of the agreement, if any, in appropriate forum in accordance with law; and 27) Fourth, the Trustees will take all decisions in relation to the affairs of the Trust keeping in view the directions of the author of the Trust after ensuring compliance of the provisions of the Act and after obtaining due approval of the competent authority from time to time; 28) Before parting, we consider it apposite to observe that a Trust is an obligation arising out of confidence reposed in the Trustee(s) that he/they would discharge it faithfully for the benefit of the Trust and its beneficiaries. 29) When the Trustee accepts the confidence so reposed in him, it becomes his duty to do everything in compliance with the author’s wish and to do nothing that may amount to betrayal of the confidence so reposed on him. 30) In other words, it is the duty of every Trustee whether jointly or/and severally to fulfill the object and the purpose of the Trust and obey the directions of the author of the Trust given at the time of its creation. This is his moral as well as legal duty recognized under the Act. 31) We have noticed from the record that the Trustees who belong to Parsi community enjoy high status in the society and are persons of eminence in their respective fields. There should, therefore, be no reason as to why any trustee should try to cause any harm to the interest of the Trust(s) or for that matter should act prejudicially and against the interest of the Trust. 32) There may be difference of views when issues relating to the affairs of the Trust are debated amongst the Trustees but what should be the uppermost behind everyone’s viewpoint is "interest of the Trust and the beneficiaries" while projecting everyone’s viewpoint. That would be, in our opinion, his real selfless service to the Trust and its beneficiaries. It will bring good for the Trust and its beneficiaries. 33) We hope that the Trustees would keep in mind these observations while discharging individual and collective duties and every Trustee would ensure that the Trust is able to do charity in letter and spirit for the good of humanity-Indeed that being the only wish of the creator/author while forming the Trust. 34) Learned counsel for the respondents by referring to order dated 13.10.2015 passed by this Court lastly urged that heavy cost should be imposed on the appellants (writ petitioners) because they dragged the Trust and the Trustees in this fruitless litigation which caused loss and injury to the Trust. 35) However, keeping in view our observations made supra and the fact that we have declined to examine the issues on merits, we refrain from imposing any cost on any party to the appeal. 36) With these observations/directions, the appeal stands disposed of finally. Tags: CIVIL APPEAL No. 4375 OF 2017Dinshaw Rusi Mehta and Anr.R.K. AGRAWAL ABHAY MANOHAR SAPREThe State of Maharashtra and Ors.